Please tell us a little about yourself. What is you job title and/or professional role? 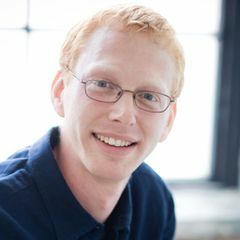 Principal / Content Strategist, ePublish Media, Inc; co-founder, @MeetContent. Loves em dashes & strong coffee. Do you currently practice web content strategy or have an interest in moving into the field? Please explain. How might you contribute to group discussions and/or the field? I'm a problem solver. I value sharing and learning. I hope to come away from meetups with web content challenges and collaborate with members on finding smart solutions. 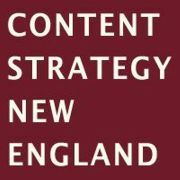 What do you hope to gain from participation in Content Strategy New England? I hope to learn by networking with other content-focused web professionals who support and promote best practices in the field of web content strategy. Based in Boston, Content Strategy New England brings together copywriters, consultants, content managers, interaction designers, search engine specialists, and creative directors from Portland to Providence to discuss how we bring clear communication to online user experiences through the evolving discipline of content strategy.